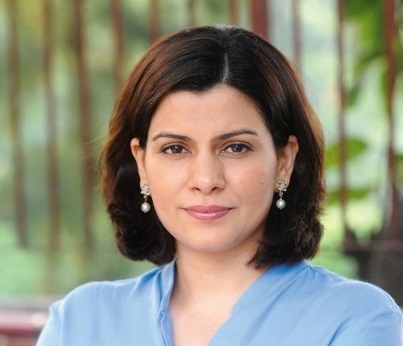 Nidhi Razdan is an Indian journalist and television personality. She is the primary anchor of NDTV 24×7 news show Left, Right & Centre. The program is normally broadcast live from a New Delhi studio every evening and covers debates and discussions on and beyond breaking news stories and headlines. Since the start of her career in 1999, Nidhi has covered a variety of news events and hosted a series of shows, often reporting live from the news scene. She has reported extensively on a wide range of key political, economic, and social stories from the Indian subcontinent. NDTV 24×7 is an English language television network that carries news and current affairs in India, owned by New Delhi Television Ltd.